A great location for those heading towards Clearwater to Springhill, Florida. Though the St. Petersburg Clearwater International Airport is near TPA airport it is much closer for those along the Gulf Coast. Equidistant between St. Petersburg and Clearwater, PIE Airport is a brightly lit facility that perfectly reflects the Tampa Bay area. Take charge of the Florida sun by making your first impression one to remember. Offering delicious local eateries and boutiques that pop, the airport makes what’s supposed to be stressful one of the best days you’ll have in a while. Arrive to your destination stress-free with the knowledge that your vehicle will be taken care of. 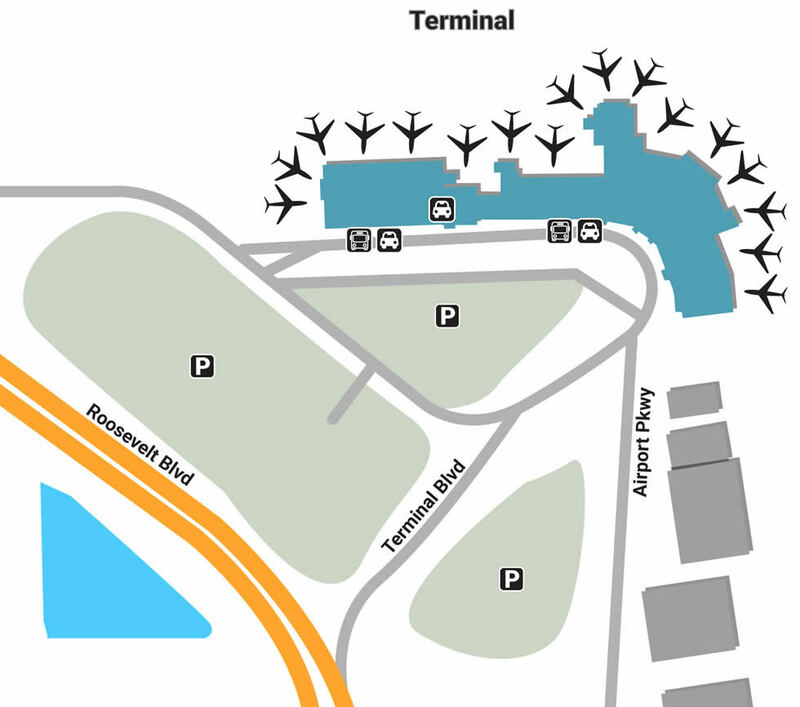 The Short-Term Lot is the closest to the terminal, offering across-the-street access to Gates 7-10. Long-Term Parking offers better rates, but is a bit farther, requiring about a five-minute walk. For the most cost-effective pricing, utilize either the Economy Parking Lot on Roosevelt & 46th or stay at the equally-priced Remote Lots 1 & 2, located adjacent to the Economy Lot. The airport offers a wide range of services to its guests, from the expected to the extraordinary. Every square inch of every terminal has access to free Wi-Fi as well a fast walking-distance access to a large collection of locally-brewed art that helps balance the chaotic energy of each busy day. ATMs are also readily available near Ticketing A as well as the west side of Baggage Claim. If you have anymore questions, you can stop by the Visitor Information Center, also near Baggage Claim. There’s no telling what tomorrow will bring, but you can help decide by choosing how you look - do so by spending the afternoon browsing through PIE Airport’s minimal retail. Pick up travel items or a fun Tampa Bay souvenir at Stellar Gift Shop near Concourse A. If you find yourself on the south side of the terminal, pick yourself up with an intriguing headline or quick-stop snack at Suncoast Attractions Store. Indulge in conveniences that only satisfy one part of the brain by relaxing at a local eatery stationed in the airport, one of the most iconic places being Sam Adams Grille (Level 2), which offers light sandwiches for lunch and hearty steaks for dinner. If you’re more in the mood for a speedy lunch, grab a pre-made sandwich or freshly-pressed panini at Tampa Bay Cafe & Bar (Post-Security). Discover the sweeter side of Tampa by enjoying a sit-down coffee or pastry at Shell Key Cafe, located right outside Departure Gate 9.